Lundin Gold Reports Third Quarter 2018 Results | Lundin Gold Inc.
VANCOUVER, Nov. 8, 2018 /CNW/ - Lundin Gold Inc. ("Lundin Gold" or the "Company") (TSX: LUG, Nasdaq Stockholm: LUG) is pleased to announce its results for the three and nine months ended September 30, 2018. All amounts are in U.S. dollars unless otherwise indicated. 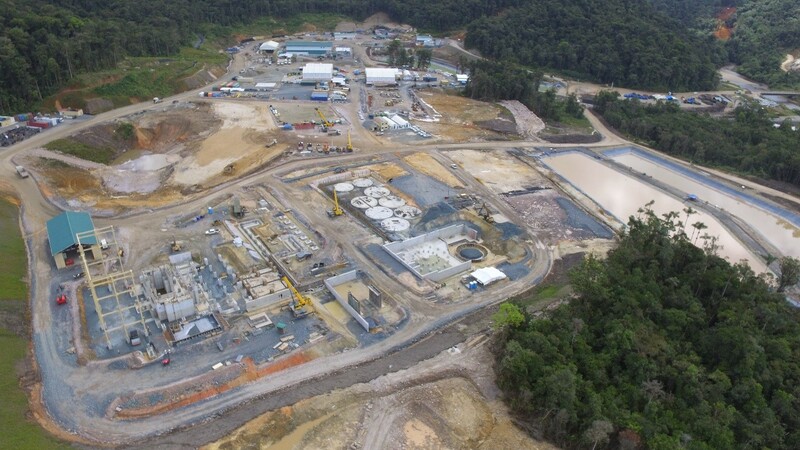 "With overall construction just over a third complete and a significant portion of the Project's capital committed, Fruta del Norte remains on track for first gold expected around this time next year. This makes us one of the largest and highest-grade gold projects coming online in the near term," said Ron Hochstein, Lundin Gold's President and CEO. "Underground mine development is progressing on schedule and based on planned rates, we anticipate reaching the orebody in the first quarter of 2019." Overall engineering was 63% complete and construction 34% complete. 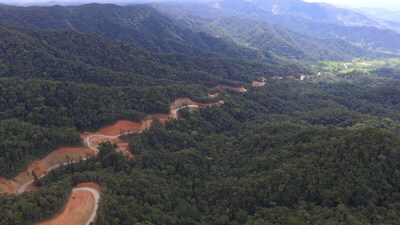 Cumulative advance in the Kuri and K'isa declines was 3.3 kilometres ("km"). Process plant excavation is done, and concrete is 40% complete. Grinding building steel erection is underway. North Access Road was substantially complete and being used by commercial vehicles. Powerline construction is ongoing on three separate work fronts. Updated mine plan and re-estimate of the Project's capital cost and operating cost were completed. It resulted in increases in the Project's NPV 5% ($786 million from $717 million) and IRR (17.5% from 16.3%). The new capital cost estimate increased only marginally by $8.0 million to $692 million. At the same time, the estimated all-in sustaining cost dropped to $583 per ounce of gold from $609 per ounce of gold. Mapping, geochemical sampling and permitting required for future drilling continues on a number of epithermal gold-silver targets in the central and southern Suarez Basin, and the Gata Salvaje target area to the west of the Basin. As at September 30, a total of 3.3 km of underground mine development had been achieved, with 1,565 metres ("m") and 1,760 m in the Kuri and K'isa declines, respectively. Daily advance rates continued to be above target throughout the quarter with an average advance rate of 6.2 m per day in Kuri and 7.0 m per day in K'isa in September, versus a target of 4.0 m per day and 3.8 m per day, respectively. The increase in advance rates are the result of better than anticipated ground conditions, less water than expected and higher contractor productivities. Process plant foundations are well advanced and steel erection has started on the grinding building. 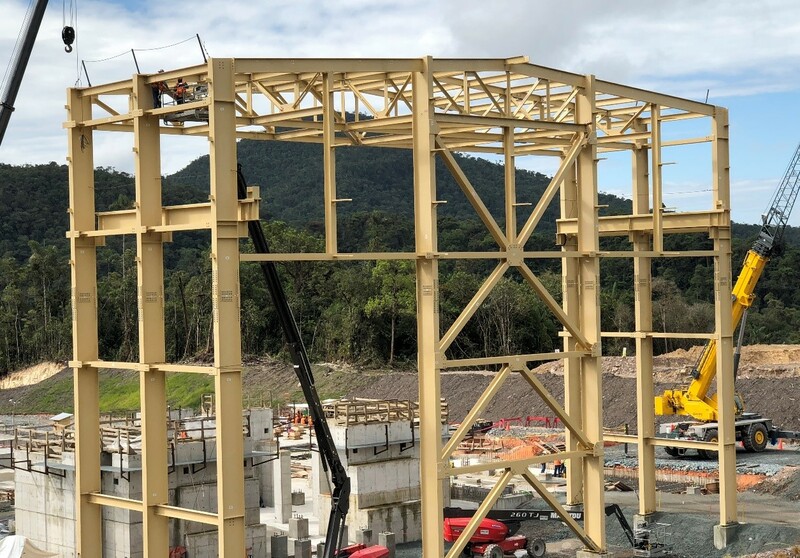 Fabrication of process plant equipment is on track and the flotation cells, mills, CIL tanks and thickeners are expected to arrive on site by the end of this year. The North Access Road was substantially complete and is being used by commercial vehicles. The tailings storage facility dam and basin clearing has started, while the temporary construction coffer dams are finished. Work also began on the east diversion ditch. Polishing pond earthworks are almost done, and liner installation is underway. Paste plant access road and site preparation has begun and the fresh air raise access road was completed. The Company received the Mountain Pass Quarry Environmental License and is in the final stages of negotiating rights to develop the quarry with local government. Construction of the powerline started on three fronts in September. The Company's net income in the third quarter of 2018 is due to the revaluation of the Company's long-term debt, as more fully explained below, and was offset by a foreign exchange loss from its substantial holdings of U.S. dollar cash at its Canadian entities during the quarter compared to a foreign exchange loss of only $0.8 million in the third quarter of 2017. The Company generated net income of $1.4 million in the nine months ended September 30, 2018 compared to a loss of $21.6 million in the same period of 2017. This is mainly due to the revaluation of the Company's long-term debt and recognition of a substantial foreign exchange gain. Partially offsetting these gains were higher salaries and benefits during the nine months ended September 30, 2018 compared to the same period in 2017 due to the performance incentive plan payment to the Company's employees. During the third quarter of 2018, the Company recorded a derivative gain from the fair value revaluation of its long-term debt of $17.9 million compared to a derivative loss of $8.3 million recognized in the third quarter of 2017. For the nine months ended September 30, 2018, the Company has recorded a derivative gain of $12.8 million compared to a derivative loss of $3.9 million in the same period in 2017. As at September 30, 2018, the Company had cash of $291.6 million and a working capital of $290.4 million compared to cash of $35.0 million and a working capital balance of $26.8 million at December 31, 2017. The change in cash was primarily due to net proceeds from the private placement in March 2018 of $396.5 million and the final drawdown of $110 million under the gold prepay and stream credit facilities. 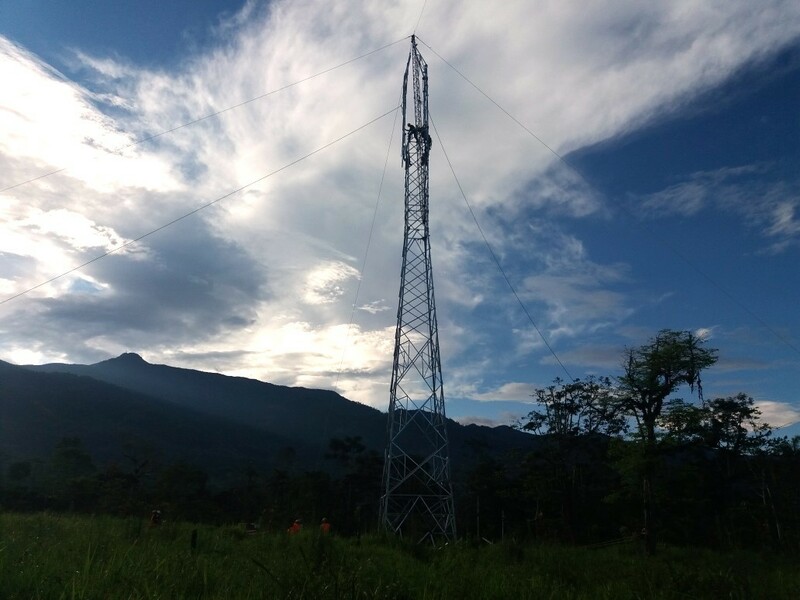 This is offset by costs incurred for the development of the Fruta del Norte Project of $193.3 million, general and administration costs of $14.3 million and exploration expenditures of $5.0 million. Completing process plant construction and starting commissioning. Starting mine operations and mining ore to stockpiles. Advancing underground declines across the ore body to the bottom of the fresh air raise. 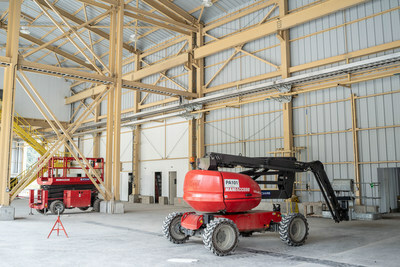 Completing construction of the site infrastructure buildings such as the laboratory, reagent storage, mine dry and administration. Completing the construction of the power transmission line and connecting to the national grid at the Bomboiza substation. Signing the Mountain Pass Quarry exploitation agreement and developing the quarry. Completing construction of the tailing storage facility. Completing the design and supply of the paste plant and commencing construction. Obtaining permits and starting construction of the Zamora River bridge in El Pindal. The Company has substantially agreed to the terms of a cost overrun facility (the "COF") with a provider. Completion of the COF is a condition precedent to the initial draw down of the senior debt facility, expected to occur in the first quarter of 2019, and is now subject to acceptance by the Company's lenders and final documentation. Exploration continues to focus on developing drilling targets through mapping and geochemical sampling at the Suarez Basin and Gata Salvaje targets. Drill permitting continues for a number of epithermal gold-silver target areas around the Suarez Basin. The technical information relating to the Fruta del Norte Project contained in this press release has been reviewed and approved by Ron Hochstein P. Eng, Lundin Gold's President and CEO who is a Qualified Person under NI 43-101. The disclosure of exploration information contained in this press release was prepared by Stephen Leary, MAusIMM CP(Geo), a consultant to the Company, who is a Qualified Person in accordance with the requirements of NI 43-101. The Company's consolidated financial statements for the three and nine months ended September 30, 2018 and related management's discussion and analysis are available on the Company's website at www.lundingold.com or under its profile on SEDAR at www.sedar.com. The information in this release is subject to the disclosure requirements of Lundin Gold under the EU Market Abuse Regulation. This information was submitted for publication November 8, 2018 at 3:00 p.m. PT through the contact persons set out below. This press release contains forward-looking information in a number of places, such as in statements pertaining to: the anticipated timing of production and the progress of the development, construction and operation of the Project, improvements to site logistics and completion of site and powerline infrastructure and the acquisition of land and surface rights, the success of the Company's exploration plans and activities, exploration and development expenditures and reclamation costs, timing and success of permitting and regulatory approvals, project financing and future sources of liquidity, capital expenditures and requirements, future tax payments and rates, cash flows and their uses. Lundin Gold's actual results could differ materially from those anticipated. Management has identified the following risk factors which could have a material impact on the Company or the trading price of its shares: the ability to arrange financing and the risk to shareholders of dilution from future equity financings; the ability to maintain its obligations under the gold prepay and stream credit facilities, the senior debt facility and other debt; risks related to carrying on business in Ecuador; volatility in the price of gold; the timely receipt of regulatory approvals, permits and licenses; risks associated with the performance of the Company's contractors; risks inherent in the development of an underground mine; deficient or vulnerable title to mining concessions and surface rights; shortages of critical resources, labour and key executive personnel, such as input commodities, equipment and skilled labour, and the dependence on key personnel; risks associated with the Company's community relationships; unreliable infrastructure; volatility in the market price of the Company's shares; the potential influence of the Company's largest shareholders; uncertainty with the tax regime in Ecuador; measures required to protect endangered species; the cost of compliance or failure to comply with applicable laws; exploration and development risks; the accuracy of the Mineral Reserve and Resource estimates for the Fruta del Norte Project; the Company's reliance on one project; risks related to artisanal and illegal mining; uncertainty as to reclamation and decommissioning; risks associated with the Company's information systems; competition in the mining industry; the ability to obtain adequate insurance; risks of bribery or corruption; the potential for litigation; and limits of disclosure and internal controls. There can be no assurance that such statements will prove to be accurate, as Lundin Gold's actual results and future events could differ materially from those anticipated in this forward-looking information as a result of the factors discussed in the "Risk Factors" section in Lundin Gold's Annual Information Form dated March 20, 2018, which is available under the Company's profile at www.sedar.com.